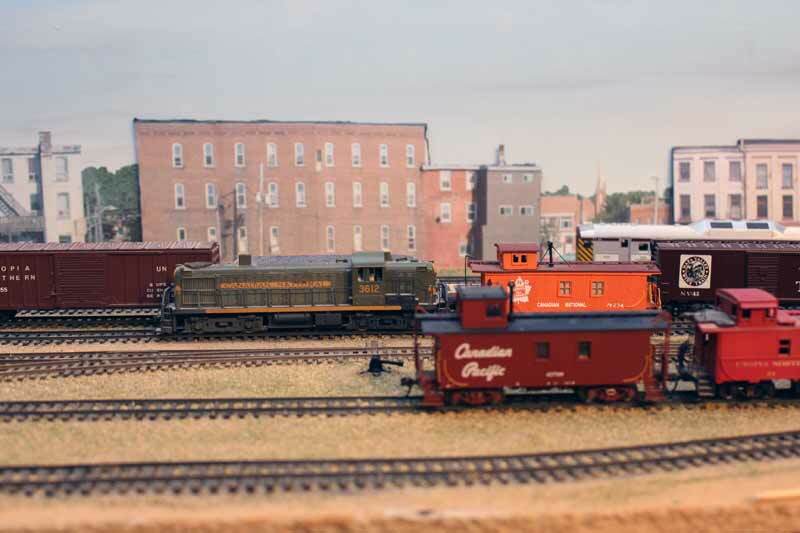 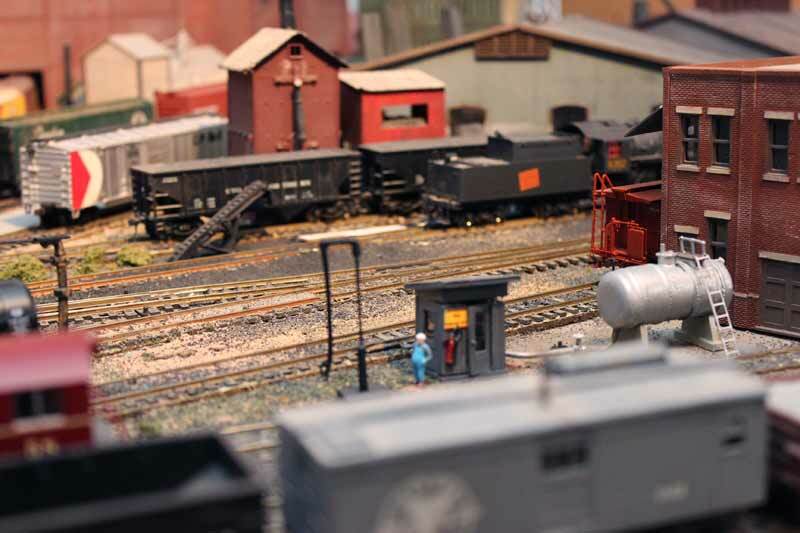 I took these photos of my previous model railroad layout in November, 2013 so I would have a record of what I had accomplished to this point. 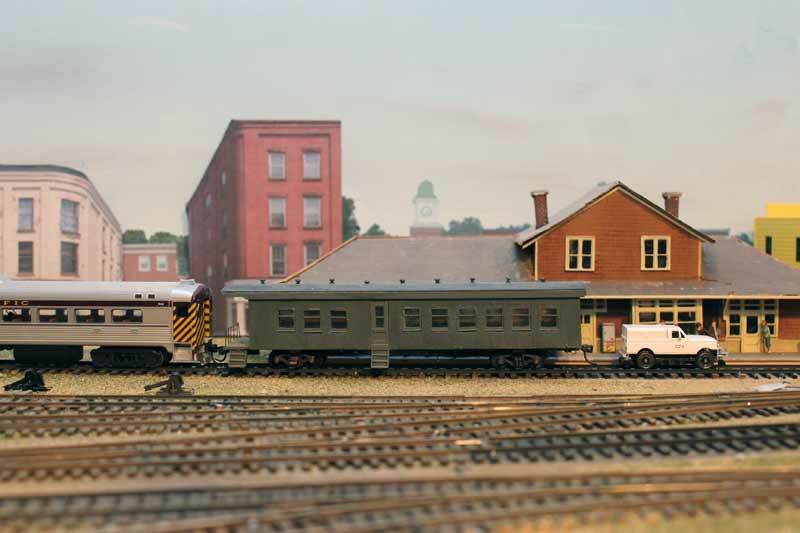 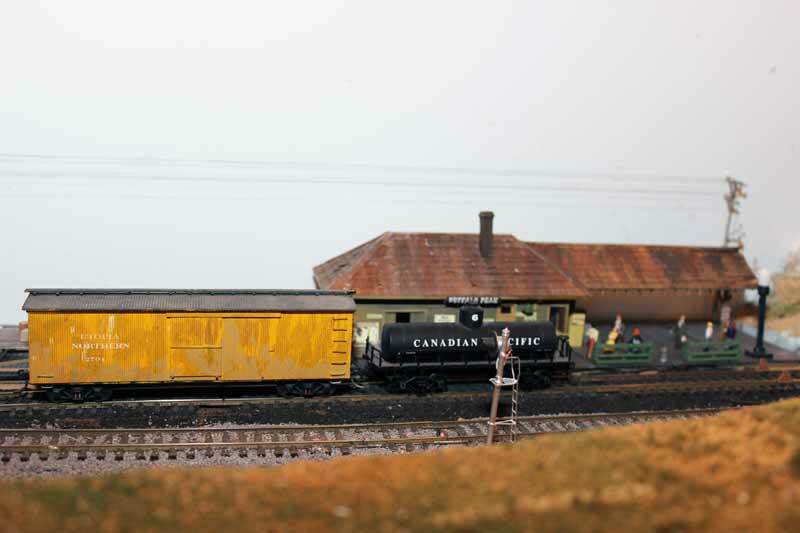 Some of the buildings and rolling stock go back many years, as far back as the 1960s. 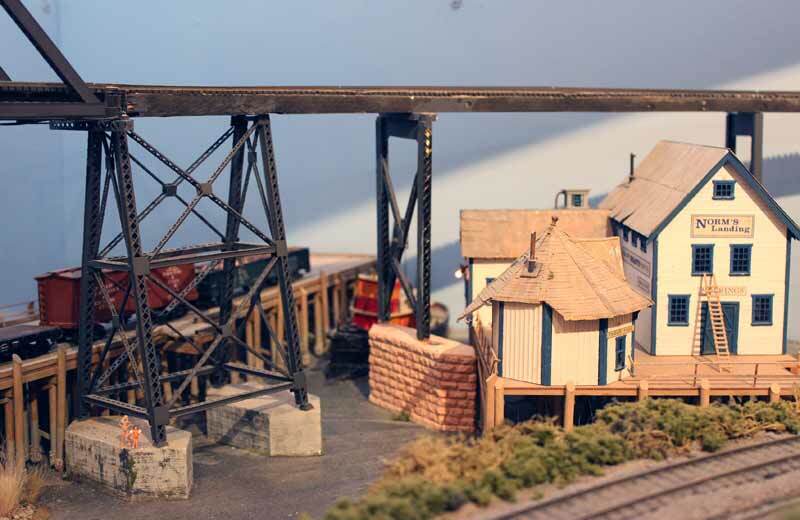 Some have been built recently. 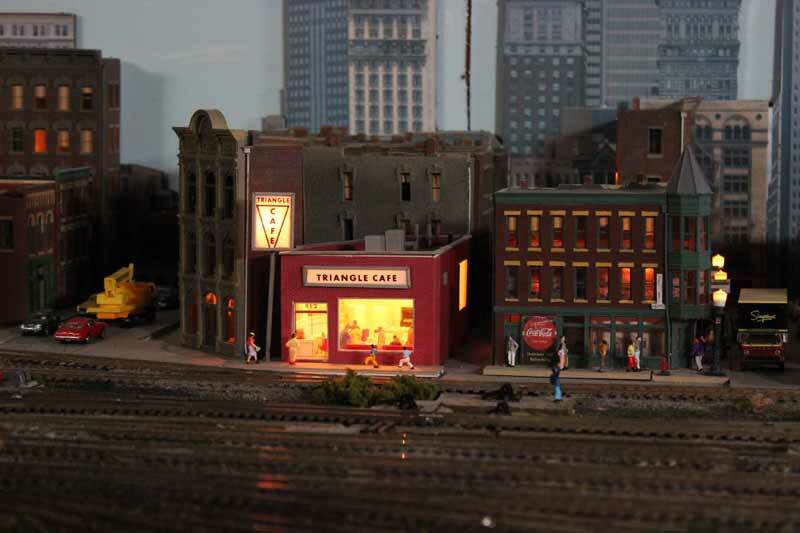 I am constantly tweaking the model train scenes. 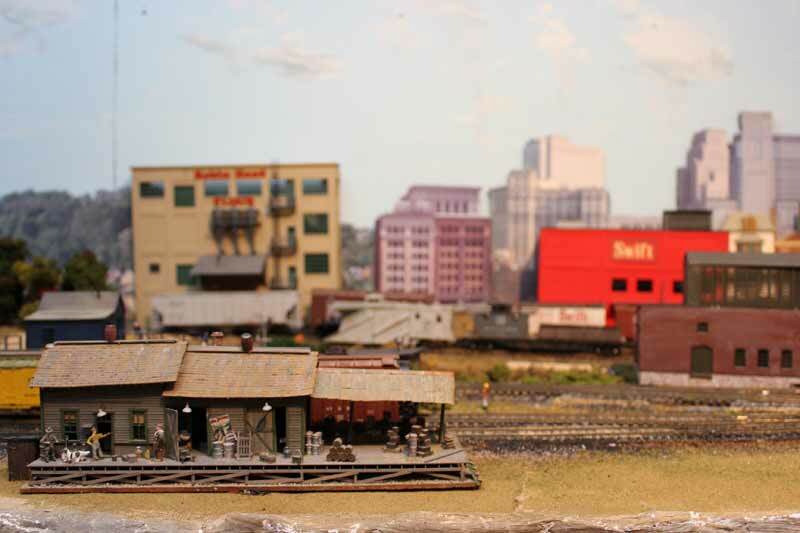 The railroad was practically finished when I took these. 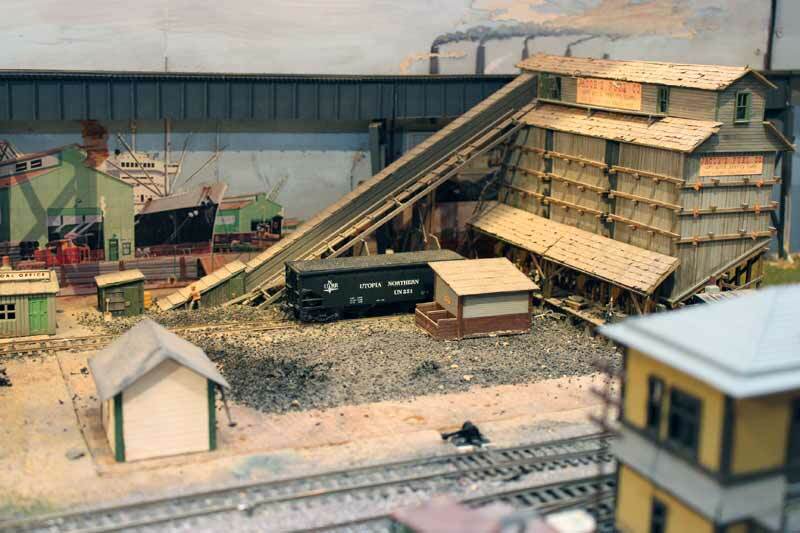 The backdrop behind Summit hadn't been done and there was some ballasting to finish in the yards. 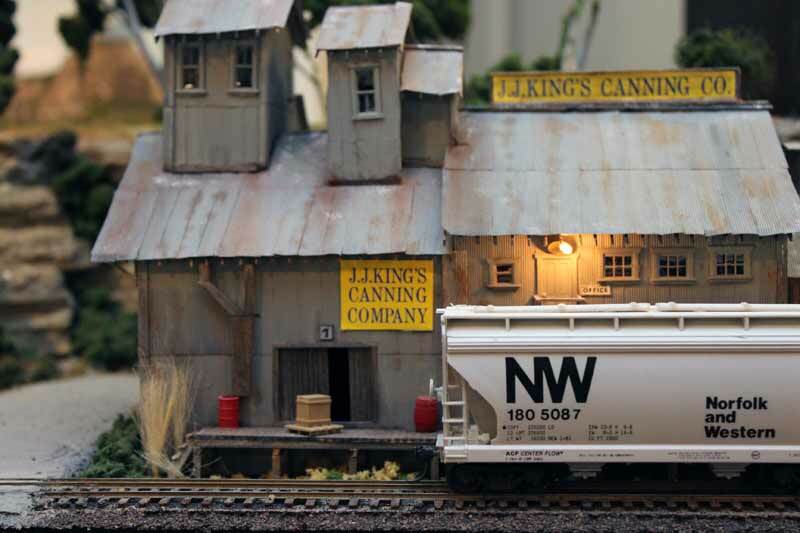 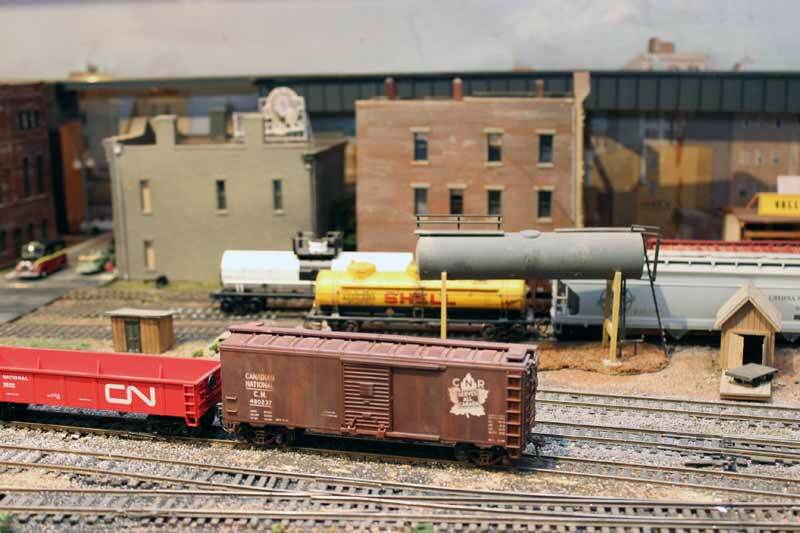 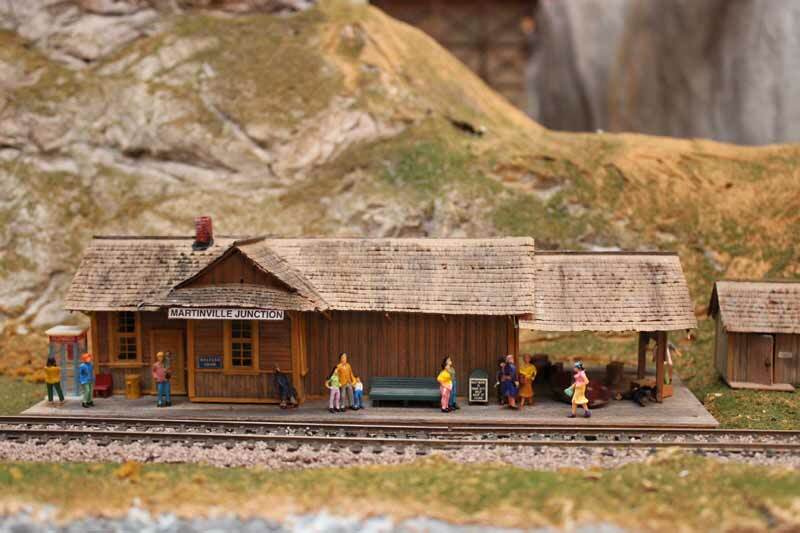 I add model train scenes when I find interesting figures and other details. 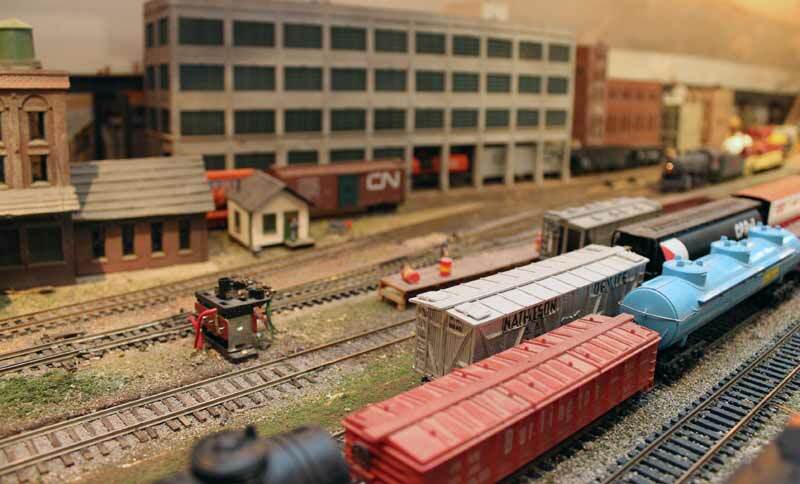 I am still building freight and passenger kits although I can't even use all the ones I already have built. 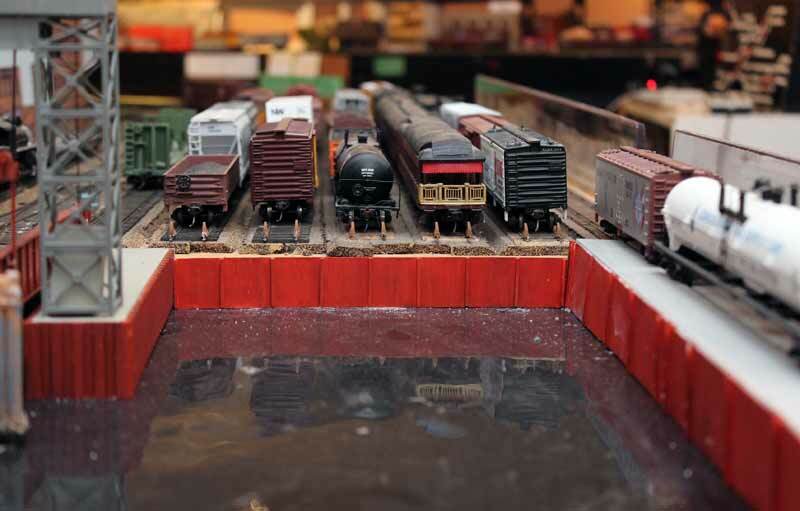 Some are a real challenge! 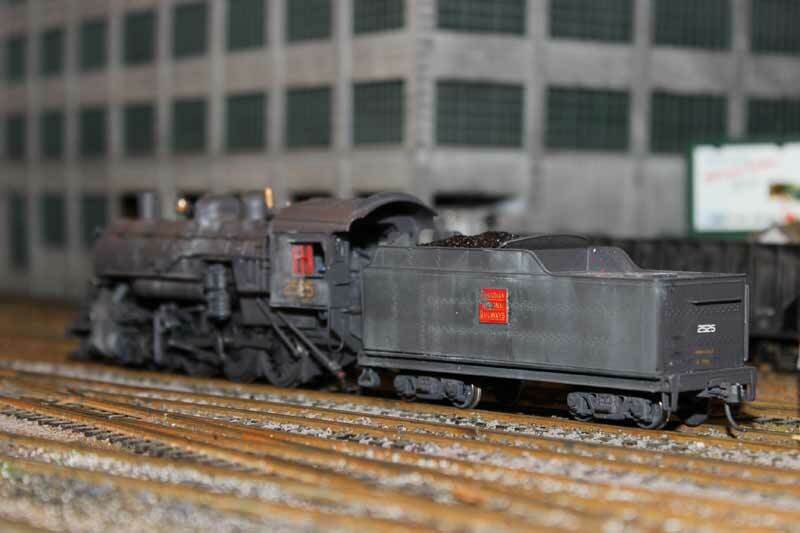 There are still freight cars to weather and engines to fix or convert to DCC. 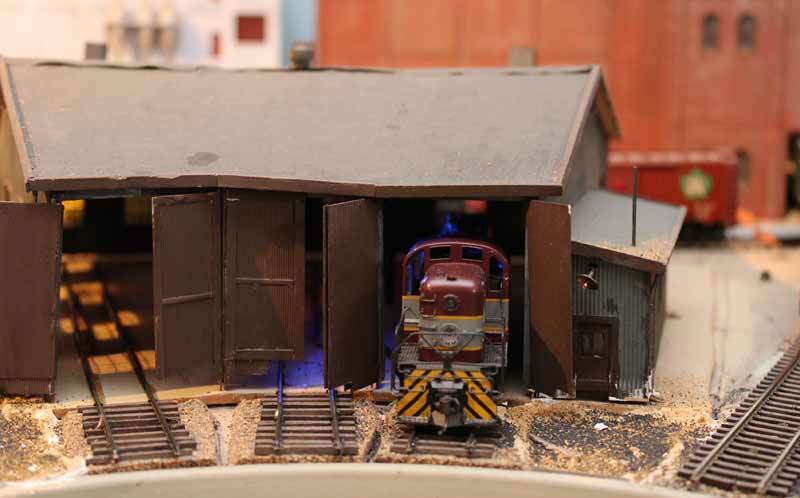 Always something to do! 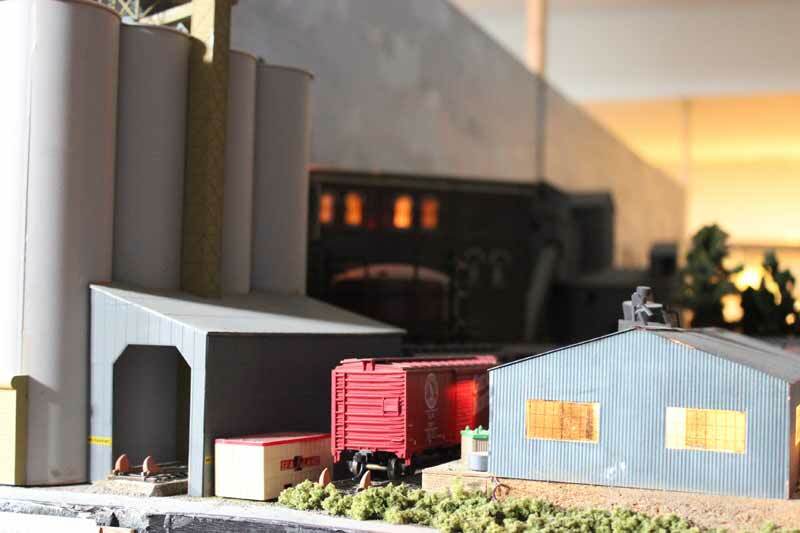 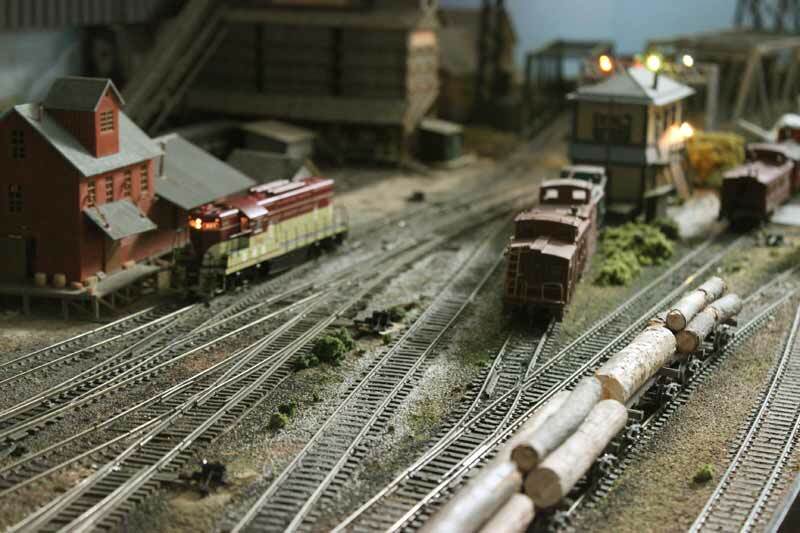 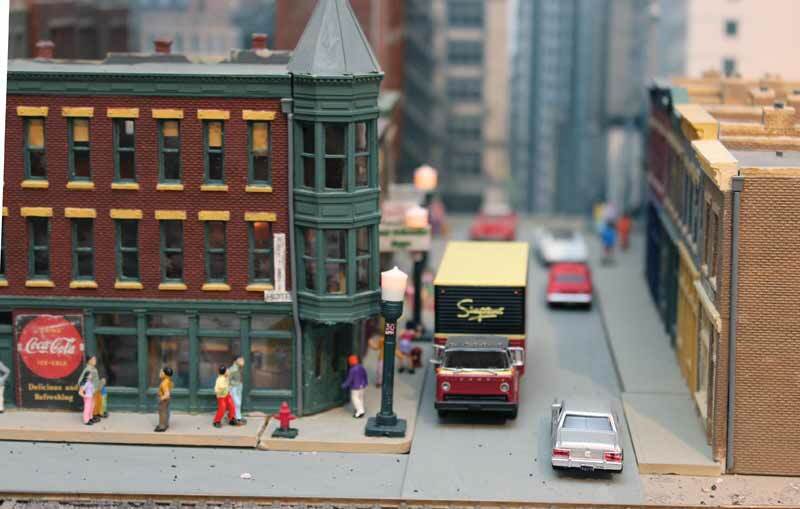 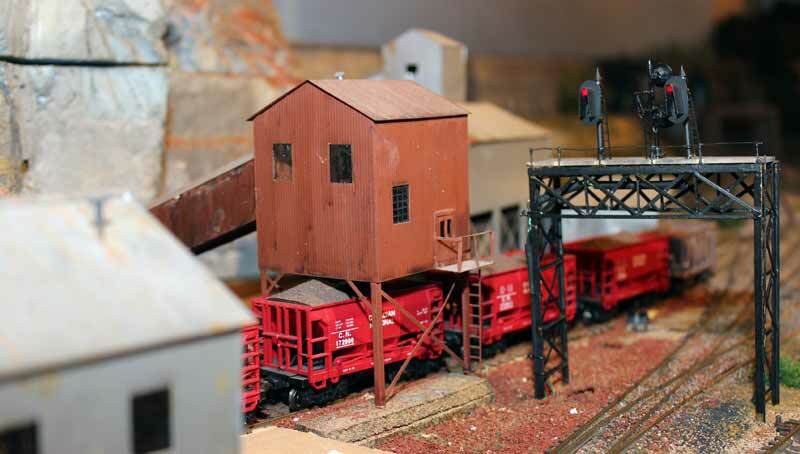 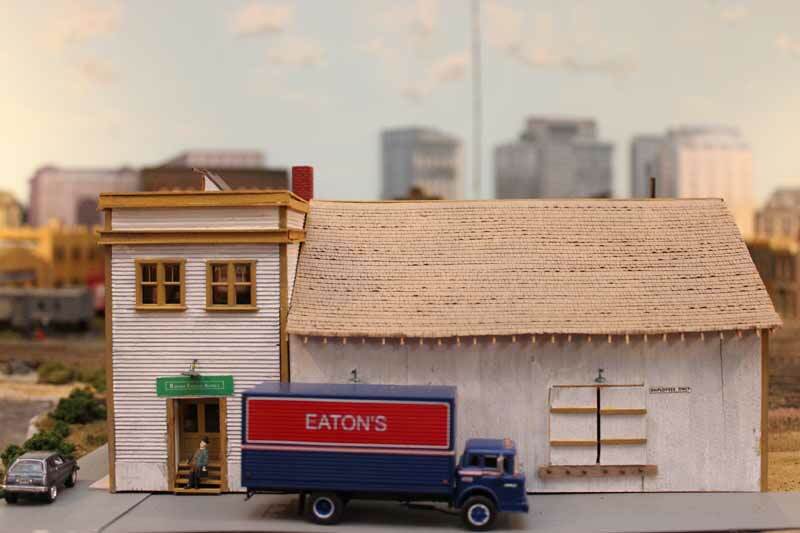 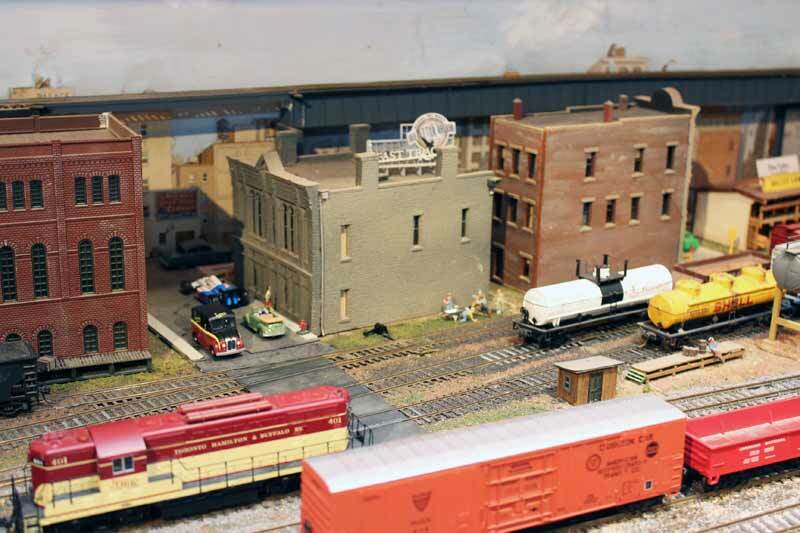 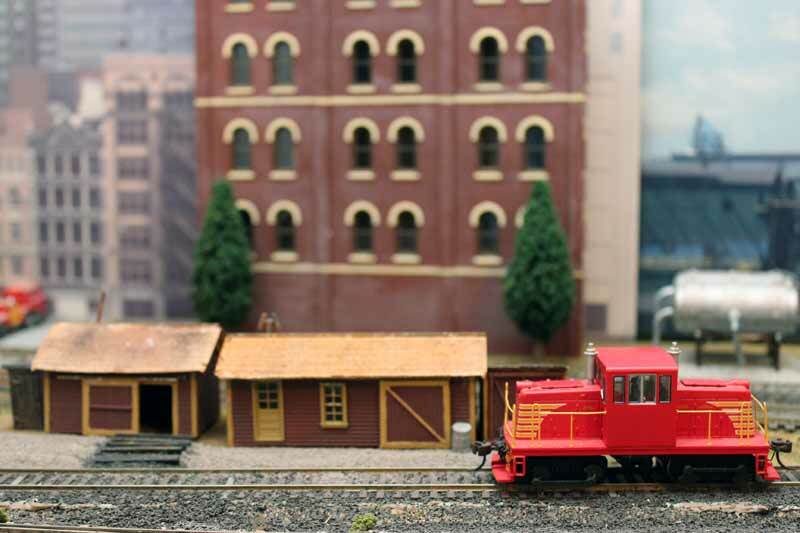 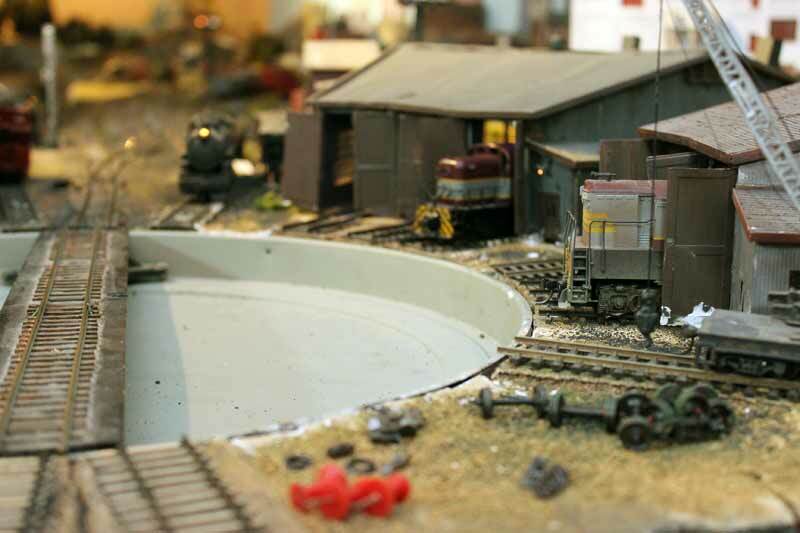 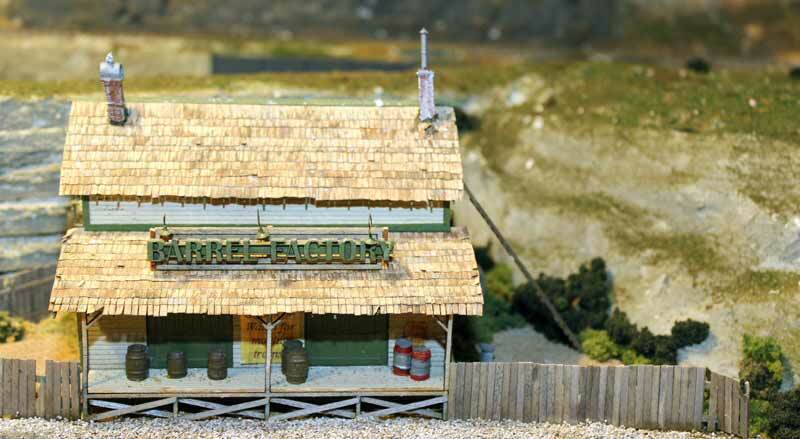 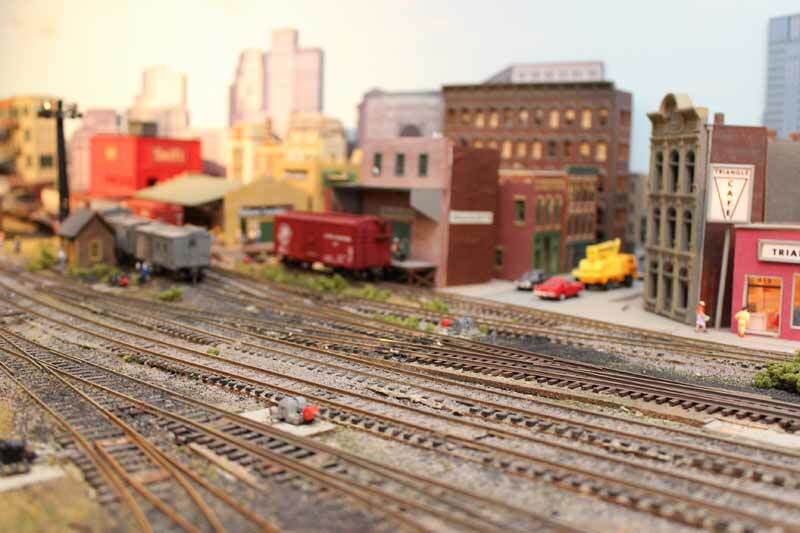 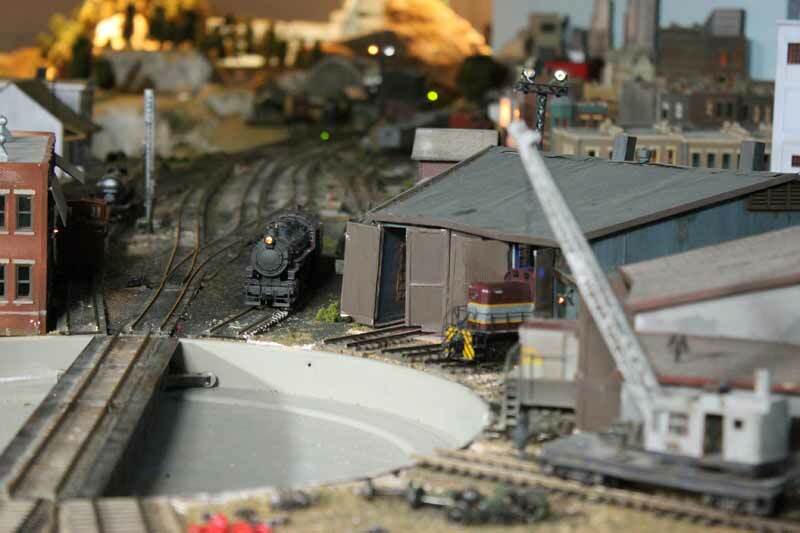 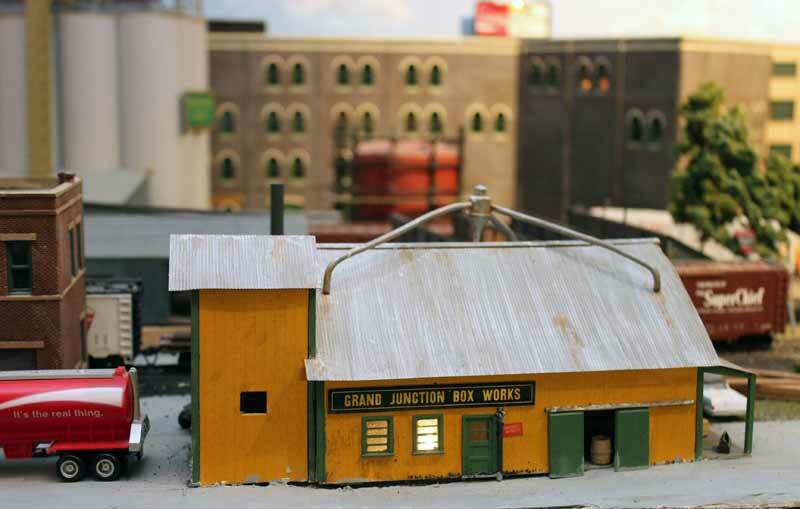 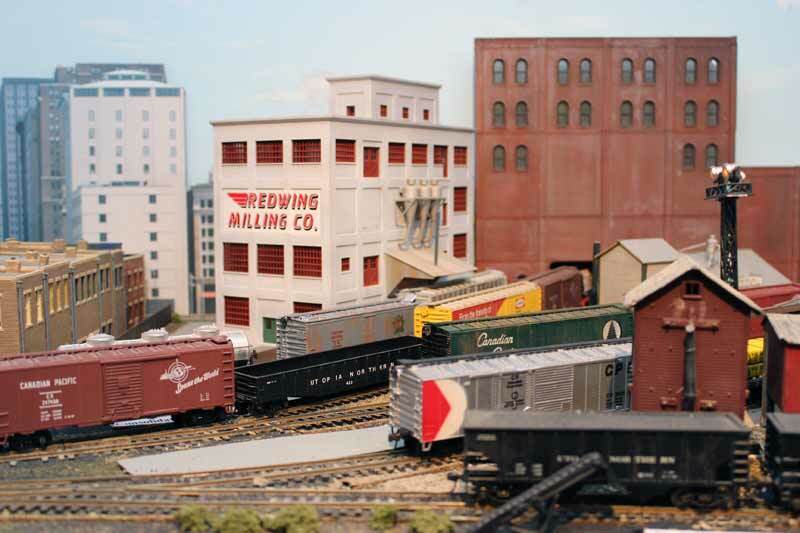 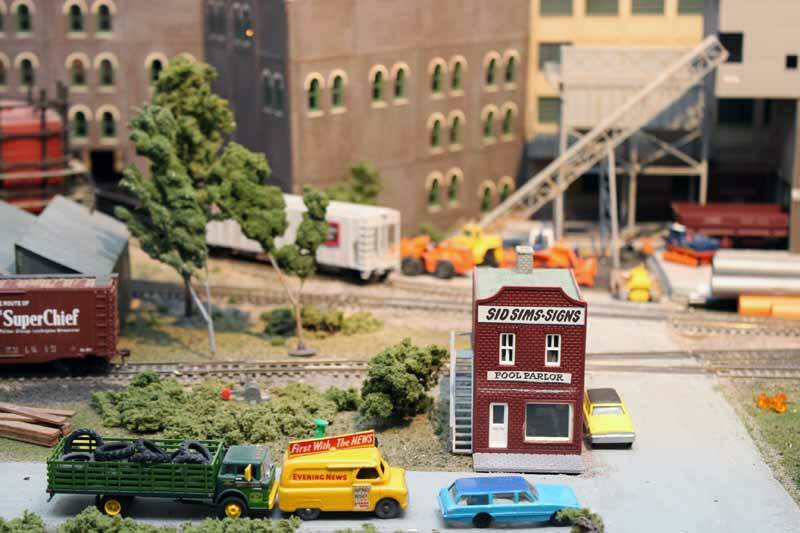 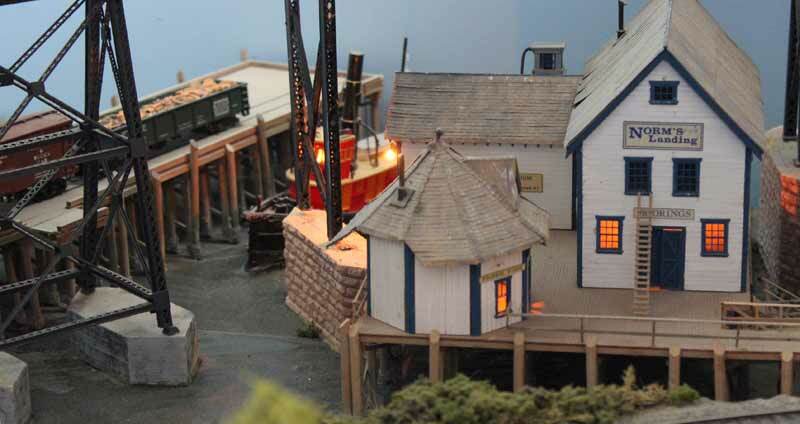 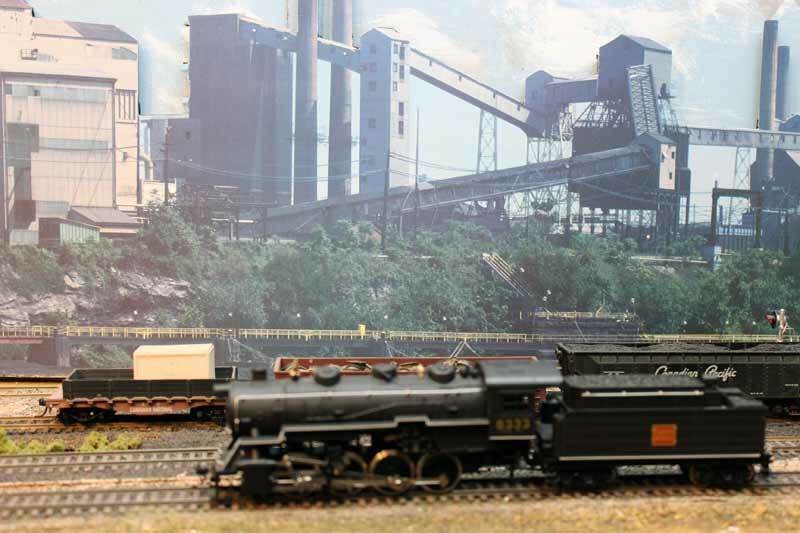 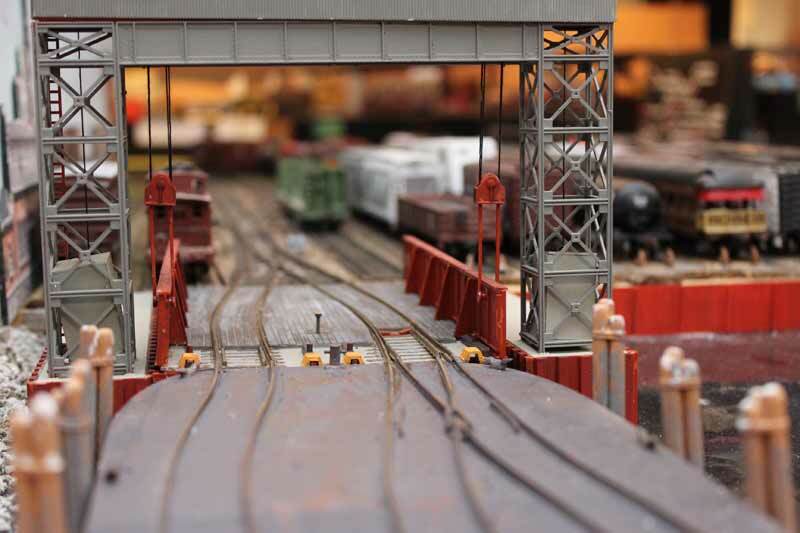 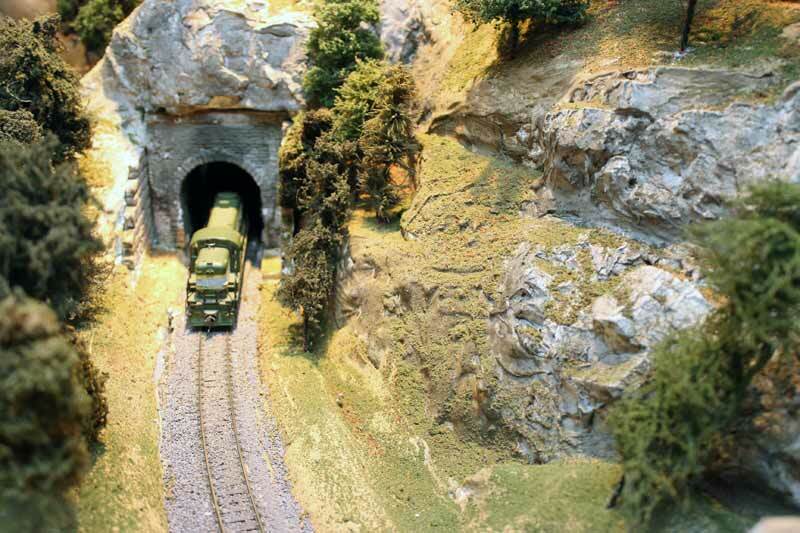 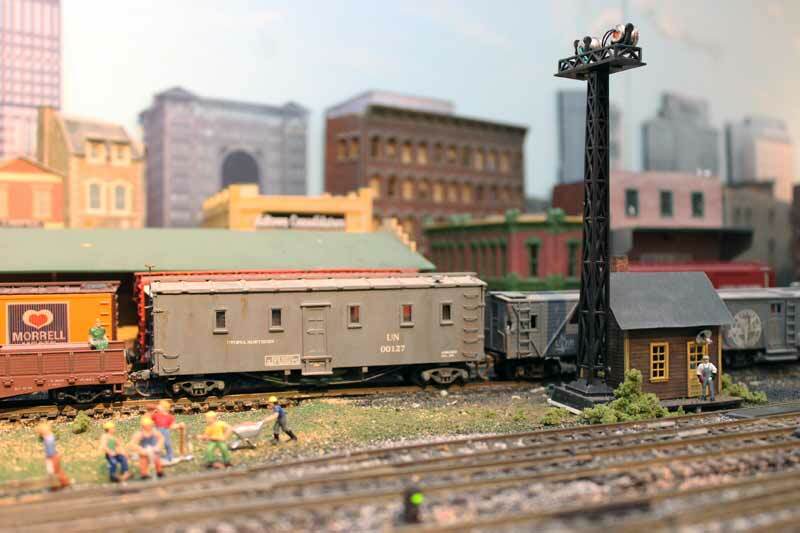 These photos provide an overview of model train scenes around the former layout room. 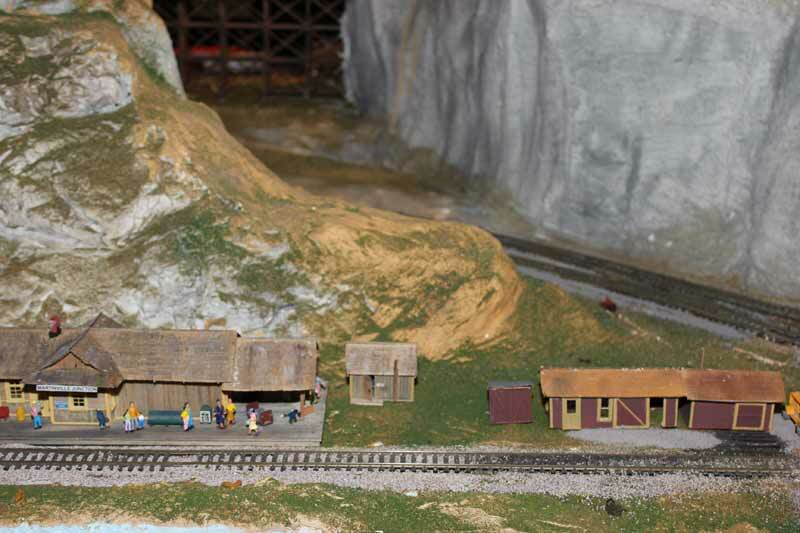 I am currently building a new UNRR in a new home (2016). 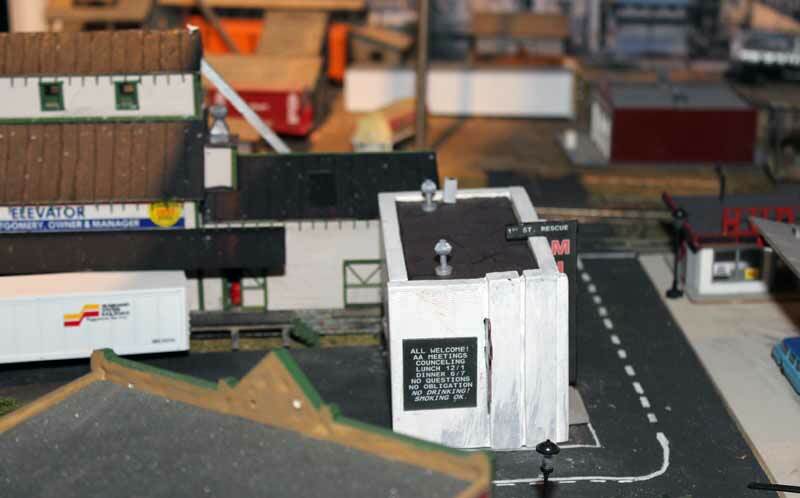 You can follow along its progress as I build it. 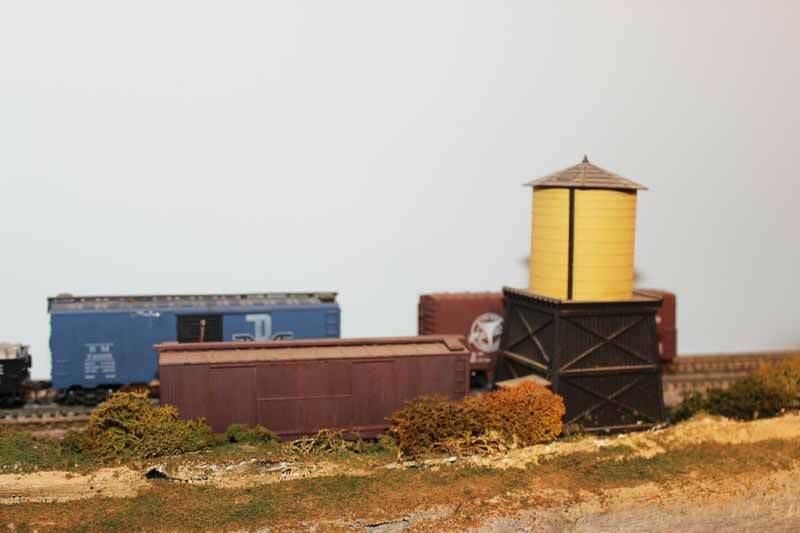 Click on the thumbnails for a larger view of the pictures below. 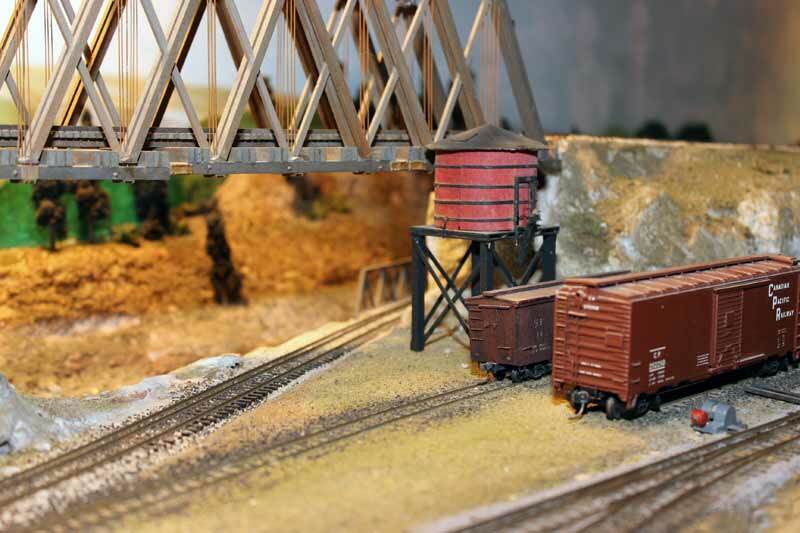 Logging siding to Payne in the Aspens camp #1 Barrel Factory by Full Steam Ahead at Collings Woods Truss bridge over mainline to Utopia at Collings Woods Jct. 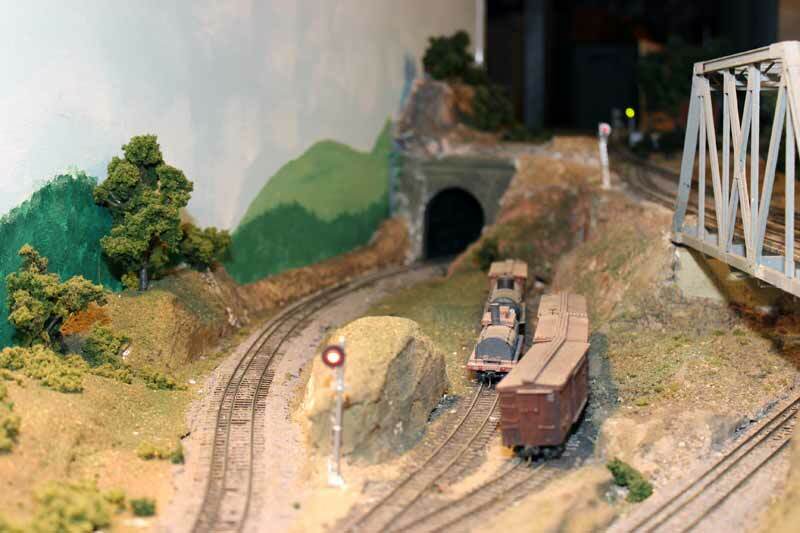 Dual gauge trackage to Port Feron. 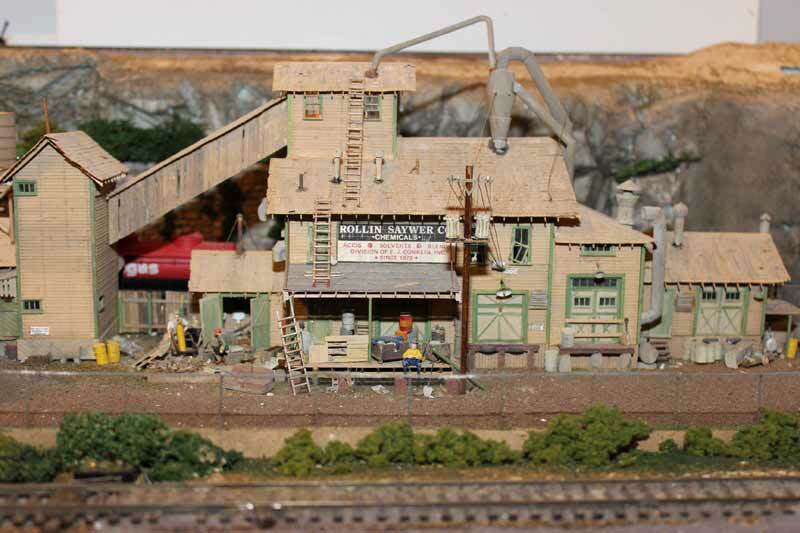 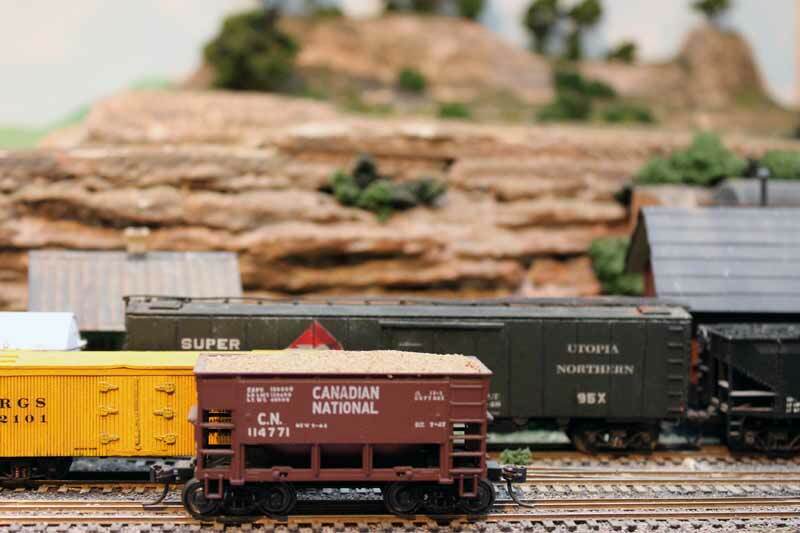 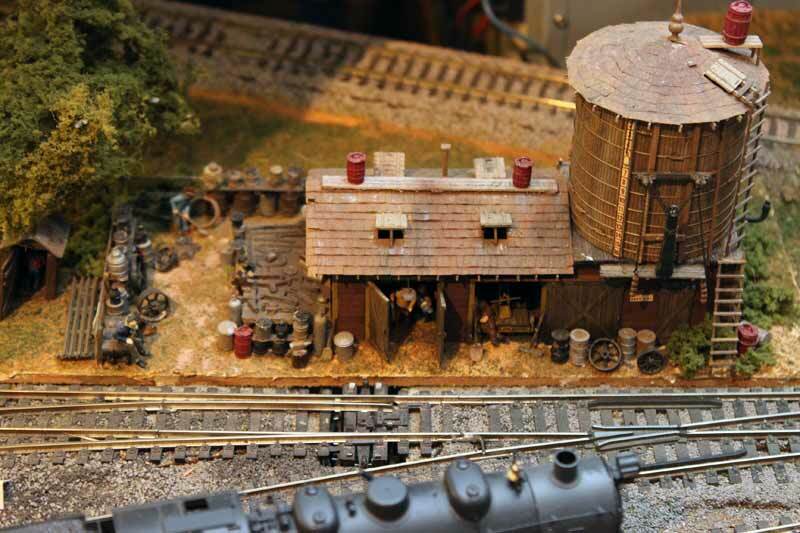 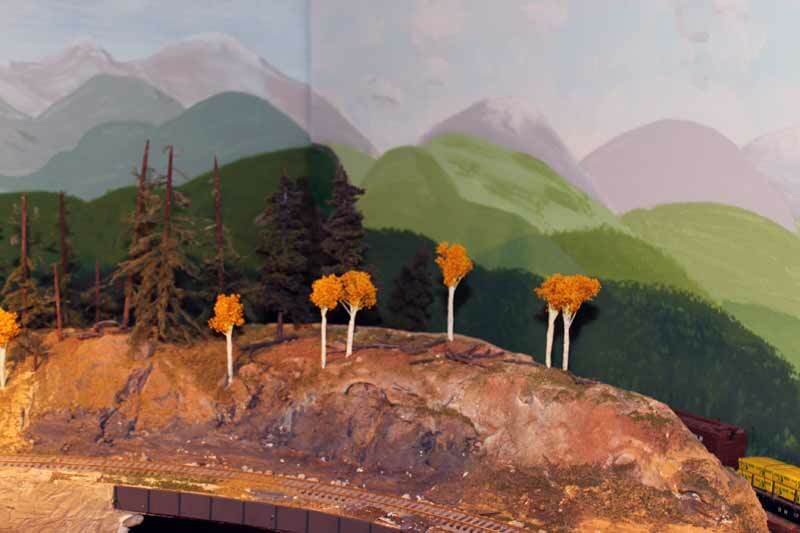 If you landed on this page to see model train scenes and would like to know more about the Utopia Northern, use the link below to take you to my model railroad for a description of the trackplan and a summary of the construction. 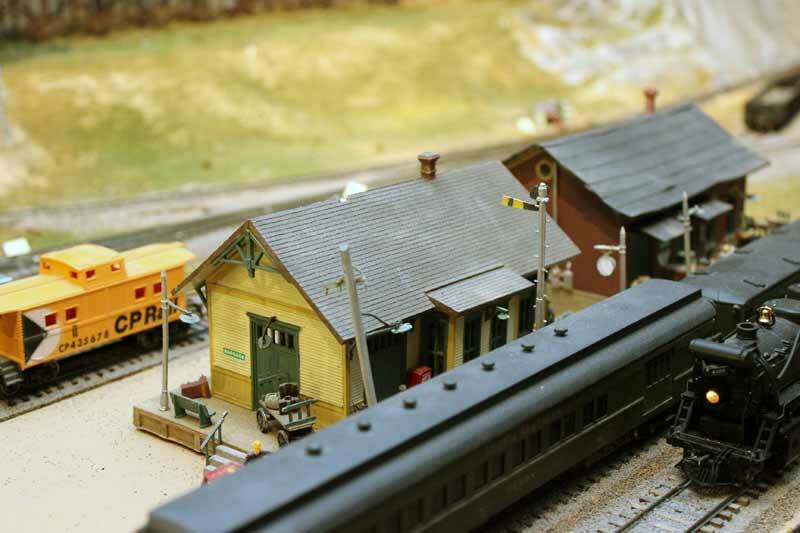 Return from "model-train-scenes" to the My model railroad, the Utopia Northern. 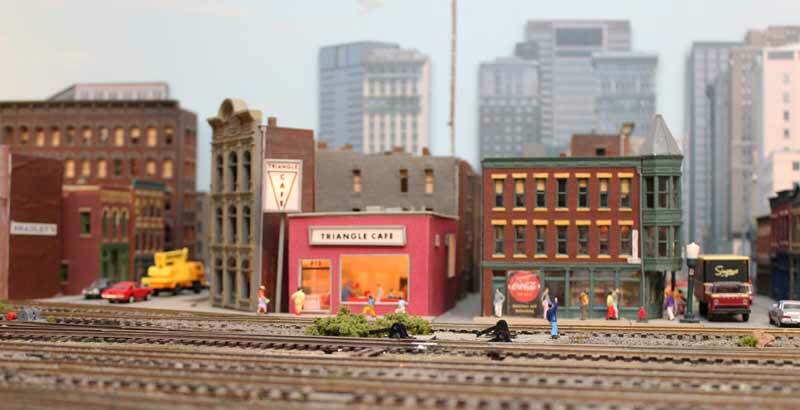 Return from "model-train-scenes" to my Home Page.